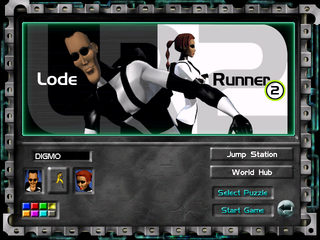 Lode Runner 2 is an isometric incarnation of Lode Runner, with a host of neat powerups and puzzles, and online multiplayer capability. None of the graphics appear to be stored with names, so in some cases there is really no clue as to what they are. These appear in 4 of the .PRX files: Gbg, Glrs, Gog, and UI. Some of them within the same file appear to be duplicates, and they appear all in sequence as shown here (each row is from a different file, in alphabetical order). Some or all of them have way larger palettes than they actually use. A monk turning into a pillar for some reason. Maybe this was part of a scrapped mechanic? Appears in Gbg.PRX, which is where the Monk stuff all seems to be. These are in UI.PRX, but there is no menu that shows them. At least, if there is, it's disabled. The configure controls menu normally has some buttons placed in the bottom right area, obscuring these intricate machine bits. Only this menu has such bits; the other menus have a relatively simple textured appearance, aside from the borders. Appears in UI.PRX. The image was first discovered, and then all (probably) of the cheat strings were located. It turns out that typing "teamlr2" (sans quotes) at the very first menu, and then starting a new game, will cause this image to take the place of the usual rotation of instructive images. Appears in UI.PRX. 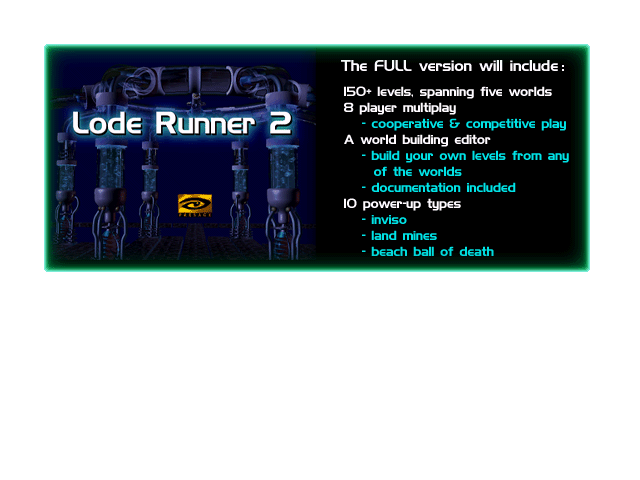 The main menu has portraits for Jake Peril and Jane, the titular Lode Runners (the Lode Runner 2, if you will). However, there are not two sets of sprites, but three! First 3 small ones, then 3 normal, 3 bright, 3 monochrone, and 3 partially desaturated. The first of each is Jake, the second is Jane, and the third... is a Mad Monk with a big yellow smiley face. There is nowhere on the menu to select this option. Perhaps it's another undiscovered secret... Much later in the file there are tiny portraits for the in-game HUD. He's in there too. In Editor.PRX, there are sprites which are used in the level editor to represent each world. They appear in the same order as in the world bytes in a level file (first Mona, then Wacky, etc. ), except that there is an extra one between Builder and Gear. For that extra one, Alien, Mall, World Hub, and Credit (none of which are options in the editor), the icon is this thing. 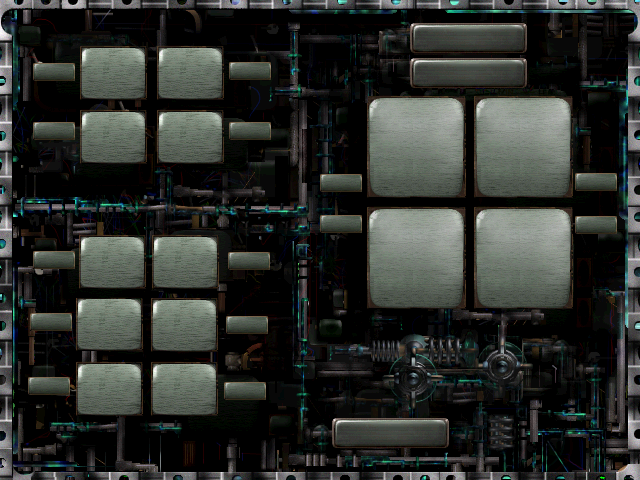 In Editor.PRX, there are sprites which are used by the level editor to represent any prefabricated arrangements of multiple tiles which are available for the currently chosen world. For Wacky world, the file lists 30. 3 of them are defined as taking up 0 bytes. They are shown here in order of appearance. Some strings are repeated, but this list will not feature the duplicates. Some of the particular instances of strings in the file may not be used, but the text appears ingame in other places, and so those will also not feature on this list because it's not known whether those particular instances are used or not. Many of the strings that ARE used in LR2.exe appear here as well, but are not used due to reasons like being related to online multiplayer modes, which the editor does not have. Where the Team LR2 image normally resides in the full game, the demo has this. Why is there all that empty space around it? The set of instructive menu graphics to which this belongs are all like that, for some reason, in the demo and in the full game. The game runs in 640x480 fullscreen mode, and storing these images this way means that they don't need an offset for the visible part to appear where it's supposed to. That doesn't seem like it saves any time or space, since they have to store the blank space in each image instead of one pair of values that applies to all of them, but that's how it is. This page was last modified on 10 February 2017, at 16:58.